This is a fun, quirky and different kind of picture book. It’s a little bit counting book, little bit wacky story and a whole lot of fun. 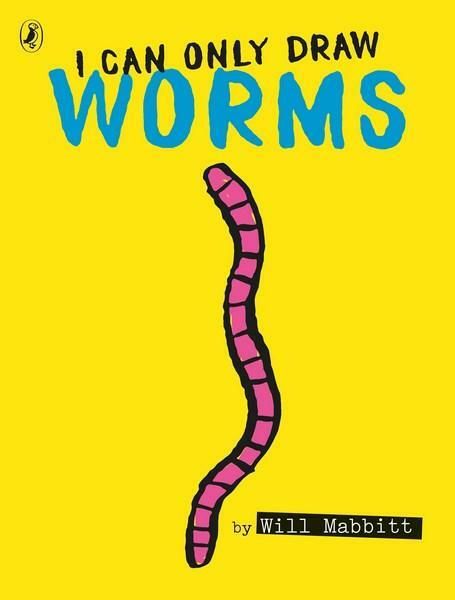 In I Can Only Draw Worms, author/illustrator Will Mabbitt introduces ten worms, one by one, because, as he tells us at the beginning, he can only draw worms! It sounds simple, and I guess the concept is, but it’s also really, really funny. 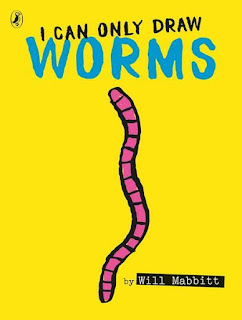 Some worms get confused with other worms, some worms get lost and then get found and some worms go on crazy adventures. But since Mabbit can’t draw anything but worms… well, I’ll let you find out for yourself. As the title suggests, the only illustrations you get in this book are worms, but they are super cool, funky worms. The backgrounds are bright and bold with some pages in fluro pink and bright yellow and some pitch black. I don’t know why, but the contrasting backgrounds are really engaging, and they just look cool! This book is fun, funny and funky, and it’s different, which is a delight. With bright and jazzy colours, I Can Only Draw Worms is an appealing book for kids, but they may need to be a little older to really get the jokes. Short sentences and easy-to-read text make this one a good choice for kids starting to read independently. And no matter your age, it’s sure to inspire you to have a go at drawing worms!